This Is A Fetish for Someone, for September 14th, 2010. 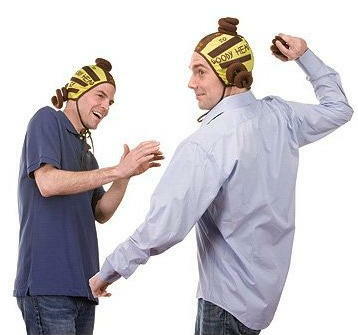 Basically, it’s sorta like playing beanbags, I guess, where instead of beanbags you’re throwing fake poop, and instead of throwing them at some area on the ground, you’re throwing them at a hat the other player is wearing, and hoping they stick. I may have awoken some strange feelings in some of you, for which I apologize.